Find artworks, auction results, sale prices and pictures of William Alexander at auctions worldwide. COSTUMES. ALEXANDER, WILLIAM. 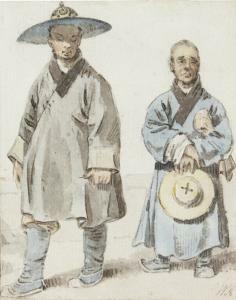 1767-1817. 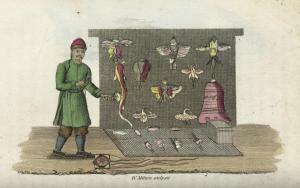 Picturesque Representations of the Dress and Manners of the Chinese; Turks; Russians; Austrians; English. London: Thomas M'Lean, [1825-27]. 5 volumes. 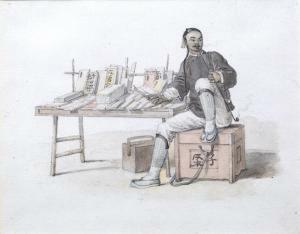 4to (240 x 165 mm), with 274 hand-colored aquatints or engravings. Half red morocco and marbled boards, gilt-ruled. Paper watermarked 1825-27. Provenance: Rodman Wanamaker, department store magnate 1863-1928 (armorial bookplate); from the library of James Galanos. 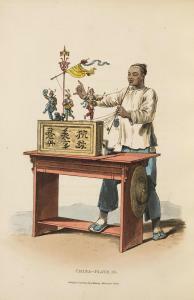 As a young artist Alexander took part in the first British diplomatic Embassy to China in 1792. Many of the sketches he made during that period are included in the current set (British Library). In the Russia volume, the plates are adapted from Georgi, while the text is based almost word-for-word on Costumes de l'empire russe published in 1803 (Colas). Colas 2359; Tooley 374-8.